Parenting is a constant effort to balance risks and benefit. I mean, we all know that driving in a car has serious risks, but since it also brings freedom and convenience, most of us choose to drive anyway. Fortunately, we can reduce those risks by following evidence-based recommendations like always using a Transport Canada certified car seat correctly, rear facing as long as possible, and putting the phone down. We spend a lot of time in the car. 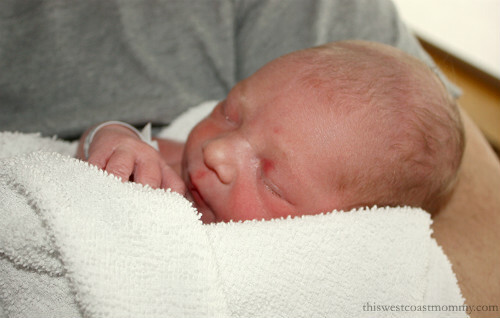 Driving to and from school, karate, Sparks, the grocery store, grandma’s house, road trips – the list goes on and on. I count on my car seats to keep my kids safe in the event of an accident and to give me peace of mind. I’ve trusted Diono to keep Kay safe for the last four years, and I’ve never regretted it. Here’s why. All Diono car seats have a steel alloy frame, aluminum reinforced side walls, and energy-absorbing EPS foam. The radian rXT‘s reinforced head support provides additional head and side impact protection and easily adjusts up and down. The radian comes with one of the longest lifespans of any car seat out there: 10 years. That makes complete sense when you realize that this car seat will grow with your child from 5-120 pounds. It’s both a rear-facing and forward-facing car seat, which then converts into a high back booster seat. 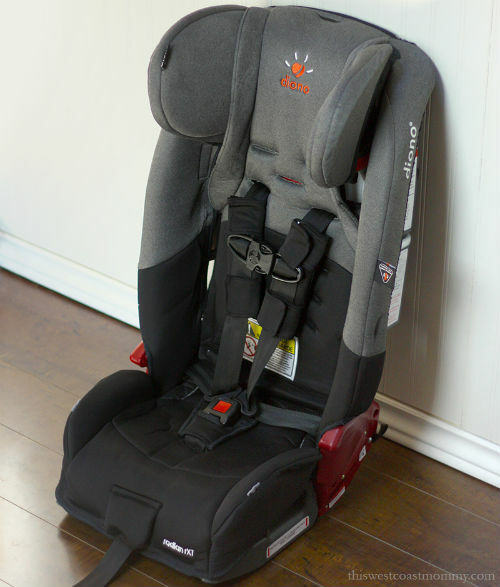 Rear-facing car seat for children from 5 to 45 lbs. (2.3-20.5 kg) and 18-44″ (46-112 cm) in height. 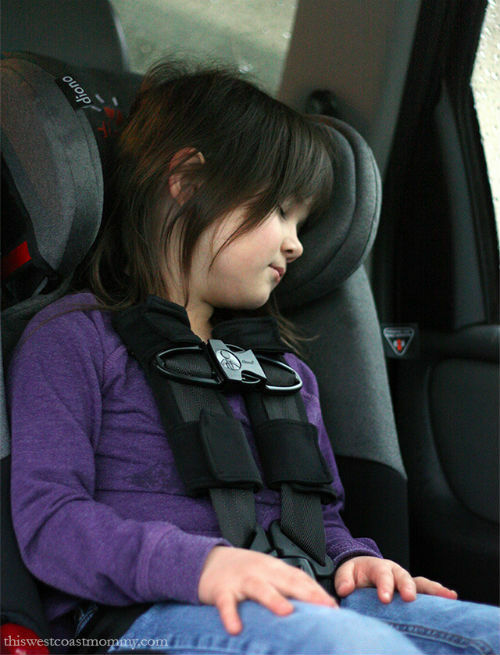 Forward-facing car seat with 5-point harness for children from 22 to 65 lbs. (10-20.5 kg) and up to 57″ (144 cm) in height. Booster seat for children weighing 50-120 lbs. (23-54 kg), up to 57″ (144 cm) in height. Remember, turning forward-facing is not a milestone to rush. Babies and young children are five times safer rear-facing until they outgrow the height or weight limit of their seat. I love that the radian’s high weight and height limits let me keep my kids rear-facing basically until kindergarten. 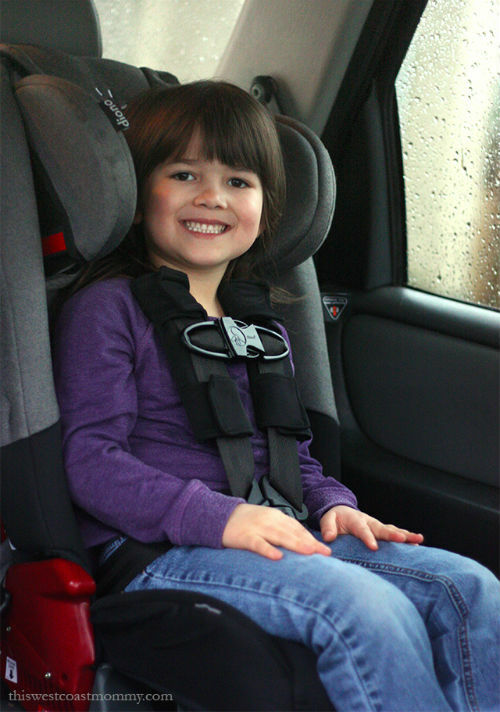 At five years old, Kay is now forward-facing in the five-point harness. She’ll stay there for a couple more years yet, because it’s safest for her. I like knowing that when she is ready to transition to a booster seat, her Diono seat will transition with her, still keeping her safe. One of the radian’s bestselling features – and what sets it apart from most other brands – is that you can fit three across in most mid-size vehicles. 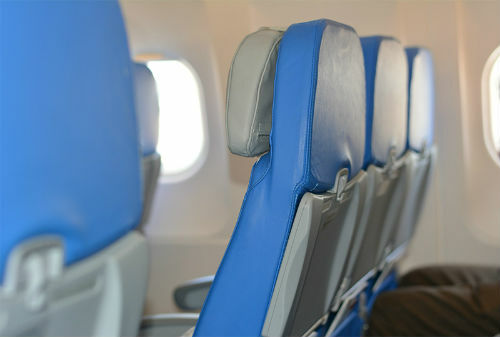 We only have two kids, but that slim profile also allows the radian to fit in economy class airplane seats for safer air travel (and it’s FAA certified for aircrafts when used as a harnessed restraint). The radian isn’t lightweight (remember the steel frame), but the seat does fold which makes it somewhat easier to carry through the airport if you can’t find a luggage cart. If you do a lot of travelling, you can buy padded straps that allow you to carry the folded seat “backpack” style. We took our radian car seat to and from the Dominican Republic a couple of years ago, and I loved knowing Kay was safely restrained in the airplane in case of turbulence, and safer in the taxis we took at our destination. Oh, and while I think about it, thank you to the person (I assume it must have been a mom!) who insisted that the car seat cover be machine washable and dryable. A car seat that’s around as long as this one will be is going to pick up some toilet accidents, vomit, and mystery stains along the way, and being able to throw the cover in my washing machine is a lifesaver. 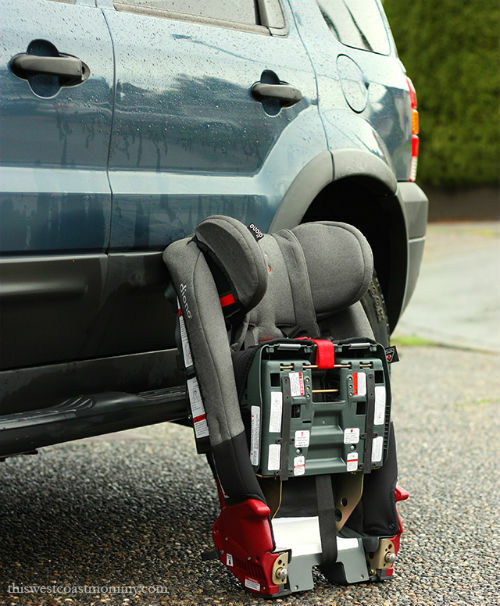 Visit Diono to learn more about the radian rXT and other Diono car seats. Connect on Facebook, Twitter, or Instagram. Disclosure: This is a sponsored conversation. Nevertheless, all opinions expressed are completely honest and my own. Your experience may differ.